The defender has finalised his move to the English Premier League side. 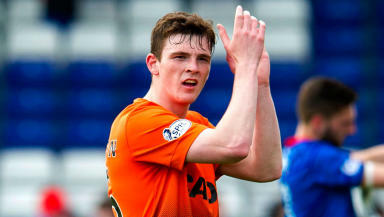 Andrew Robertson has completed his £2.85m move from Dundee United to Hull City. 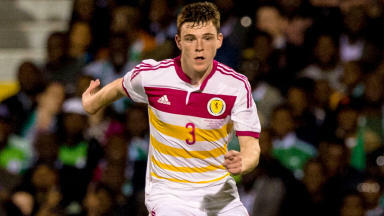 Robertson has signed a contract with Steve Bruce's men after a fee for the talented 20-year-old was agreed between the two clubs last week. The defender has signed a three-year deal with Hull City retaining an option for a further year. Scotland international Robertson scored five times in 46 appearances during a stellar debut season at Tannadice. After completing the move then the ex-Queen's Park man would join up with international team-mates Allan McGregor, Robert Snodgrass and George Boyd. City defender Conor Townsend has gone the other way on a season-long loan deal. United have already sold Ryan Gauld to Sporting Lisbon this summer. The club also rejected an offer for winger Gary Mackay-Steven from an unnamed club.